Graphic Design Services for All Your Marketing Materials! We might be living in an age of advanced electrical equipment and digital communication, but there’s nothing like a poster and banners when you have to make an appearance at a trade show. Capital Exhibits provides wholesale graphic design services for all your marketing solution included but not limited to corporate design inspiration, a relevant idea and even letterhead stationery. 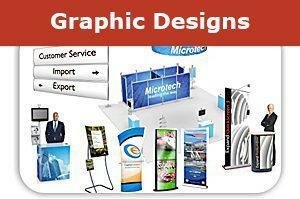 Trade show graphic design is a highly specialized area in which Capital Exhibits excels. Whether you need something that fits on a tabletop or a 20 by 20 foot backdrop, we can get the job done. We work with materials such as vinyl, fabric, canvas, sintra, perforated mesh and more, and have capabilities involving dye-sub, static cling, indoor/outdoor use and many others. 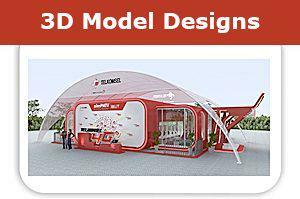 You, and the visitors to your booth, will be amazed at the top artwork and full color of your display. Concerned about what all of this is going to cost? Understand that our services are wholesale but not cheap. We are an agency dedicated to staying competitive, and we are upfront at every point. From the price quote to the final invoice, you will have a clear sense of what you are paying for every step of the way.